In August 1942, Hitler directed all German state institutions to assist Heinrich Himmler, the chief of the SS and the German police, in eradicating armed resistance in the newly occupied territories of Eastern Europe and Russia. Unfortunately, due to sales rights restrictions, we cannot offer Hitler's Bandit Hunters for sale in your country. In August 1942, Hitler directed all German state institutions to assist Heinrich Himmler, the chief of the SS and the German police, in eradicating armed resistance in the newly occupied territories of Eastern Europe and Russia. The directive for "combating banditry” (Bandenbekämpfung), became the third component of the Nazi regime's three-part strategy for German national security, with genocide (Endlösung der Judenfrage, or "the Final Solution of the Jewish Question”) and slave labor (Erfassung, or "Registration of Persons to Hard Labor”) being the better-known others. An original and thought-provoking work grounded in extensive research in German archives, Hitler's Bandit Hunters focuses on this counterinsurgency campaign, the anvil of Hitler's crusade for empire. Bandenbekämpfung portrayed insurgents as political and racial bandits, criminalized to a greater degree than enemies of the state; moreover, violence against them was not constrained by the prevailing laws of warfare. Philip Blood explains how German forces embraced the Bandenbekämpfung doctrine, demonstrating the equal culpability of both the SS police forces and the"heroic” Waffen-SS combat arm and shattering the contrived postwar distinctions between them. 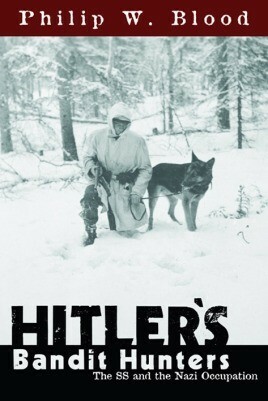 He challenges the traditional view of Himmler as an armchair general and bureaucrat, exposing him as the driving force behind one of the most successful security campaigns in history, and delves into the contentious issue of the complicity of ordinary German police, soldiers, and citizens, as well as the citizens of occupied territories, in these state-sponsored manhunts. This book provokes new debates on the Nazi terrorization of Europe, the blind acquiescence of many, and the courageous resistance of the few.